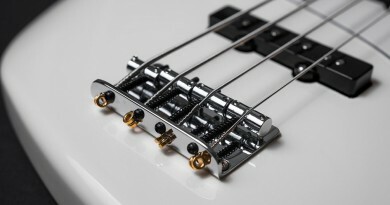 The original Precision bass was introduced in 1951 and had a single coil pickup approximately halfway between the bridge and the end of the fretboard. However, in 1957 the P bass was redesigned and became the version most of us think of when mentioning a Precision – a split humbucker bass. The Precision sound is timeless and classic. And often people either love or hate it. Me? I love it! But used to hate it (or just didn’t care)… I grew up on a Jazz bass, but at some point i figured that I needed to try a P bass and right away I was in love with that fat, chunky tone that just sat in the mix like a boss! Anyway, there is a lot of debate about how the wood, the weight, the strings, the bridge, etc. 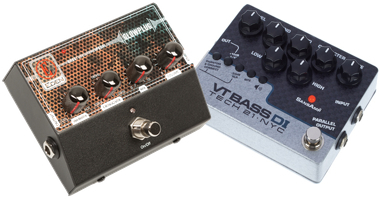 affects the tone of a bass (any bass). So, I decided to scrape together every single Precision bass I could get my hands on and do the ultimate A/B/C/D… (well, you get the point) Precision Bass Comparison. The passive tone control is a treble roll-off. In other words, when it’s turned all the way up it does nothing so that’s the knob setting I refer to as ‘off’, which may be a little confusing. 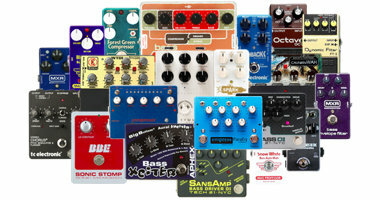 However, when you listen to the clips you’ll know immediately when the tone control is being used. Also, there is no center click on the tone control, so the 50% setting is only as precise as I could turn the knob ‘approximately halfway’. If you don’t want to let this potentially skewing factor mess with your ears, just skip the 50% clips. However, I think these are often a quite realistic setting. I know some never touch the tone control and some love the muddy sound of a full treble roll-off, but I guess there are also many who prefer the tone control somewhere in between. OK. All basses are unique. 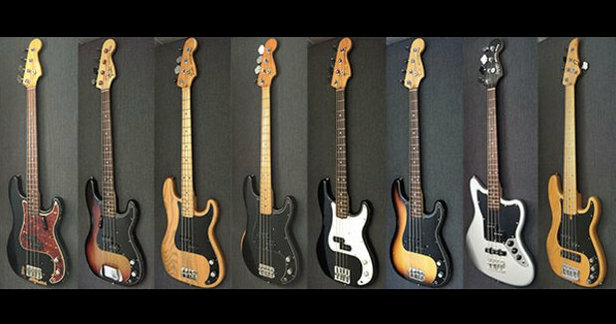 The primary common denominator here is that we’re talking about Precision basses. That said, there are some variables that you should notice. I will specify the condition in full for the bass in question before each new round. 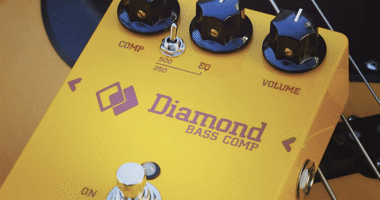 For instance, all of the basses have old strings – except for the Nordy, which naturally causes the sound clips to be brighter than the others. 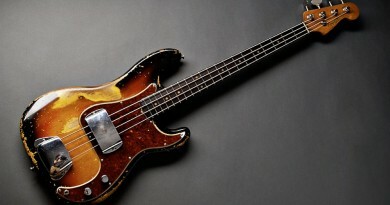 And all basses have roundwound strings – except for the ‘64 and ’74 basses that have flats. And all (Fender) basses have low-mass bridges – except for one of the ’79 basses that is equipped with a high-mass BADASS BASS II bridge. Basically, I guess that all Precision basses sound like… well, P basses. But having said that, while all Precision basses share the same fundamental tonal characteristics there are countless flavors and subtle nuances within that scope. I think P basses often sound very similar in a band mix, but then again when you stand right in front of that rig, you know it usually makes a huge difference picking up another bass even if it’s one of the exact same brand and model… Two basses that should be identical – or at least very similar – may well sound very different. All basses are indeed unique. Thank god! Now, what you can’t hear on these sound clips (or maybe you can, actually?) is how well each of the basses play. I love the sound of the old 1964, but unfortunately the wide C-neck often prevents me from playing more than one set using this bass. Other than that, which is just how it was designed, it plays amazingly well. It’s my oldest bass and it still rocks with a fairly low action, no humming or buzzing, it’s lightweight and sounds absolutely killer to my ears. Most of the 70’s basses are good. You can hear how each of them sound and in terms of playability, they are all decent. However, the 79 with sunburst finish and rosewood fingerboard has an A-neck (like a Jazz Bass), which suits me perfectly. B-necks are fine, but A-neck is great for me. Therefore, that is my main P bass. Plus the Nordy, which just offers so much more flexibility with the option of blending in or switching to the J pickup as well as the 2-band EQ/preamp. Oh, and it also plays fantastic! My recommendation is that you listen closely to these samples and decide if you, overall, like the rosewood or the maple the best. Then go try out some basses that match your preference. And let the playability of the instrument decide which bass you end up with. You don’t want too wide necks, too heavy bodies or too high string action to prevent you from expressing your music the best way possible. In that situation, I prefer having 95% of the tone I dream of, but in a bass that plays at 100%, rather than the other way around. But try to stay above the 90% mark on both parameters if at all possible. This is great. Funny the variation. I like flat strings best. The first bass is my favorite. Paulo.